Talk about - Pop Garden! - Stop staring and start sewing! Talk about - Pop Garden! I've had this song going through my head for months while I've been waiting for this new line of fabric by Heather Bailey. You have to use the phrase "Pop Garden" instead of "Pop Music" but if you've followed the link you will now have it stuck in your head too. Sorry. Anyway, all that is to say.....It's here!! 21 glorious bolts (and more on the way)! And here it sits waiting for Bijoux to show up (any day now!). I haven't had the chance to play with them since I've been head-spinningly busy. But I'm okay with it since I was lucky enough to sew some fun things out of it back before Quilt Market. So anyway, it's in the store (it was pre-loaded so the second that darling UPS guy left, I just hit the "finish" button and within 10 minutes had my first order for it!). I also have some great new laces and appliques and stuff (they are seriously cute!) 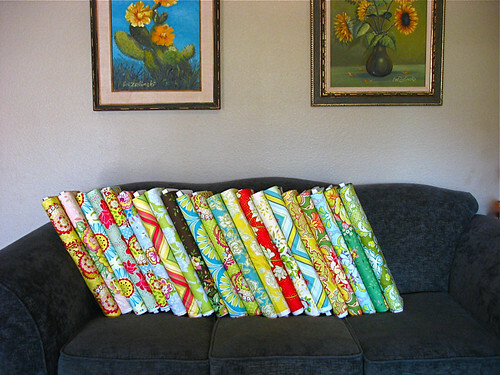 and I'm thrilled to have some patterns by Farbenmix and Studio Tantrum (with more coming). I love love love their patterns and have used them more times than I can count! Thanks for all the pillowcase love! Sofia really likes her new cases (I made 2) in spite of their "froofy-ness" because they are so soft. I'm so thrilled to know some readers used my tutorial and had great results. Whew! I have another fun tutorial I'm working on and should have up in the next few days (I'm playing with Garden Party now). Oh, and if you love paper crafting, you're going to love this! 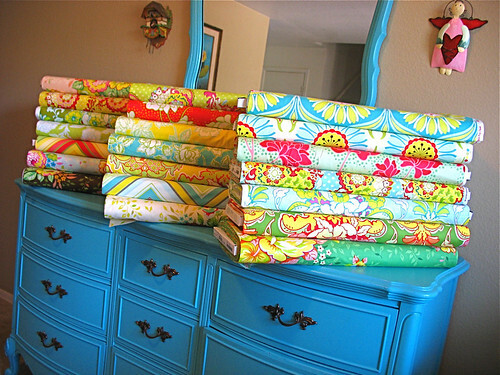 I don't do much paper crafting but I may have to start. Have a great rest of the weekend!